Italian HYBRID male, medium early (2/3 days less than Eros) very productive and with good tolerance to rust. Suitable for every kind of soil, even loamy and clay included. Characterized for the good size of SPEARS, very uniform, bright green with anthocyanin color, and the bracts are well stick to the spear top. 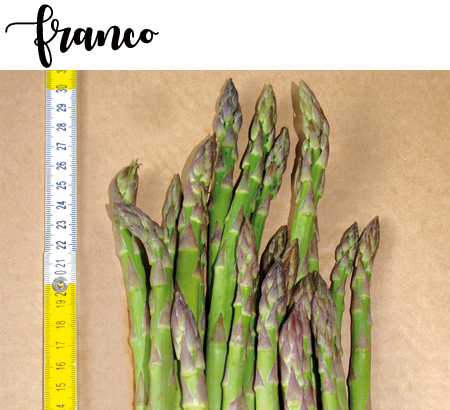 Suitable for the production of both white and green asparagus in continental areas.